Unfortunately the look of a brand-new patio will not last forever. To remedy this, take the necessary steps to revitalize your patio and make your outdoor space look new again. Paver patios provide an ideal surface for revitalizing because you can easily remove and replace broken pavers with fewer complications than attempting to repair cracked slab or poured concrete patios. In a short while you can transform the look of your paver patio. Remove all furniture from the patio surface and carefully examine each paver in the patio. 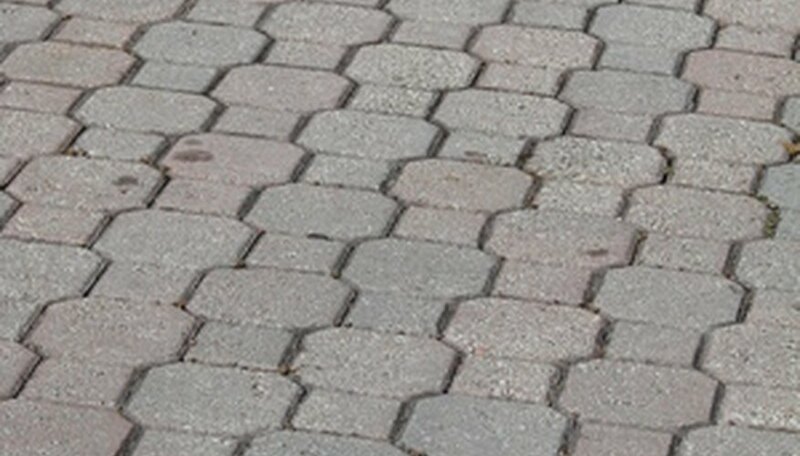 Locate each paver you must remove due to cracks, breaks and bad rust or chemical stains. Remove the individual pavers from the patio without disturbing the surrounding pavers. To do this, use a rubber mallet and a narrow chisel to tap into the cracks or mortar between the pavers. Work your way all around the paver until you can slide the chisel under the paver to pry it loose. Measure the surrounding pavers or the broken paver to help you in locating a replacement. If the paver is simply stained, you may be able to turn the paver over and replace it back into the patio. Take the paver with you when looking for replacements, so you can color-match the paver. Mix a small batch of masonry mortar to assist you in reinstalling any pavers that were mortared into place during the first installation. To do this, apply mortar around the opening in the patio and replace the paver. Once you push the paver into place, use a jointer tool to remove excess mortar from the join and the surface of the patio. Allow the mortar to dry overnight before walking across the patio. Apply a nitric acid patio cleaning solution to all the patio pavers. Allow the solution to set on the pavers for approximately ten minutes and use a pressure washer to remove the solution from the pavers. This solution cleans away any salts and dirt on the surface of the patio. Allow the patio to dry completely. Paint or stain the patio surface as desired. Do this after you have cleaned the pavers and use a paint roller or brush to apply the paint or stain. Use a paint or stain made for use on concrete, so you know the substance will absorb into the surface and not create a film on top of the pavers. Allow appropriate drying time after application of either paint or stain. Apply a protective patio sealant to the pavers after repairing and staining. Paint this sealer over the joints and mortar to protect those surfaces as well. Allow the sealant to dry for 24-hours before using the patio and replacing furniture.